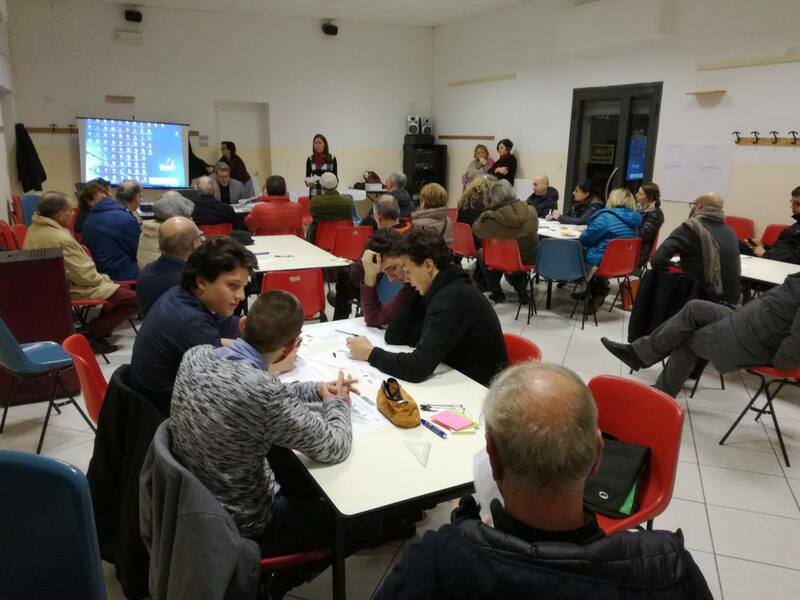 The last stage of a participatory budgeting experience in Campi Bisenzio, Italy. 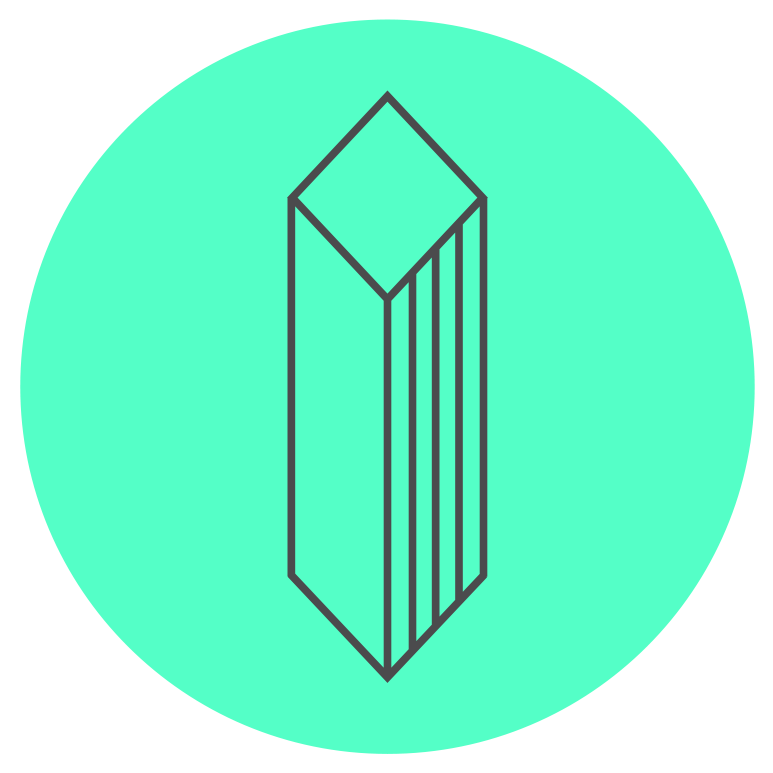 - To propose an ulterior working group with respect to that foreseen by the participatory budgeting in which a group of citizens together with municipal technicians, councilors and associations work for the creation of an innovative web platform which on one hand, can gather, analyse and systematise the materials produced by the various participatory paths started up by the municipal Administration, valorising the common aspects and highlighting those that could be the good practices to be implemented, and on the other hand, structure and experiment on a new innovative platform for participative mapping, to be left as a "legacy" to the succeeding administrations, and through which the citizens, especially the youths in schools may get used to and be involved in generating useful data for their own territory (open-crowd data) and enrich the decisional processes of the city with precise data. In the two years of the participatory budget process, about 2,000 citizens were involved in both the informative process as well as the project design. The portion of the population involved belonged to the age bracket of 30 to 50 and was composed of simple citizens, businessmen, and representatives of associations. Campi Bisenzio, located in the Plain between Florence and Prato, spreads out over a surface of 28 sq. km and has a population of 42,740 inhabitants. In the past the territory consisted of farms, and in the last decade underwent profound changes on the socio-economic level: Campi Bisenzio today boasts a well-rooted production system with internationally recognised levels of innovation and modernity, characterised by a basic balance between small enterprises, big companies and multinational firms, malls and advanced high-tech service structures. Worthy of note in the last 25 years, is an important increase in the population, especially of diverse ethnic groups (at least 16). To this popular and well consolidated social fabric, other groups have been added, and which in many ways ask to participate in the construction of an ever-new city. Since the 1990s, institutions and citizens have focused particularly on the recovery and valorisation of the environmental, cultural, social and historical resources. Particularly over the years, the Municipal administration has acquired and recovered important buildings such as Villa Montalvo, Villa Rucellai, the Rocca Strozzi, and Dante Theatre, and has upheld and recovered the capital's Historical Centre. What make this typically peculiar is the participation, collaboration and sharing style chosen by the administration as its method of government. This is also due to a receptive and collaborative socio-economic fabric which over the years has allowed the experimentation on the territory of events that involved the population in sectors related to the allocation of resources or requalification of the sites, or in socially relevant matters. 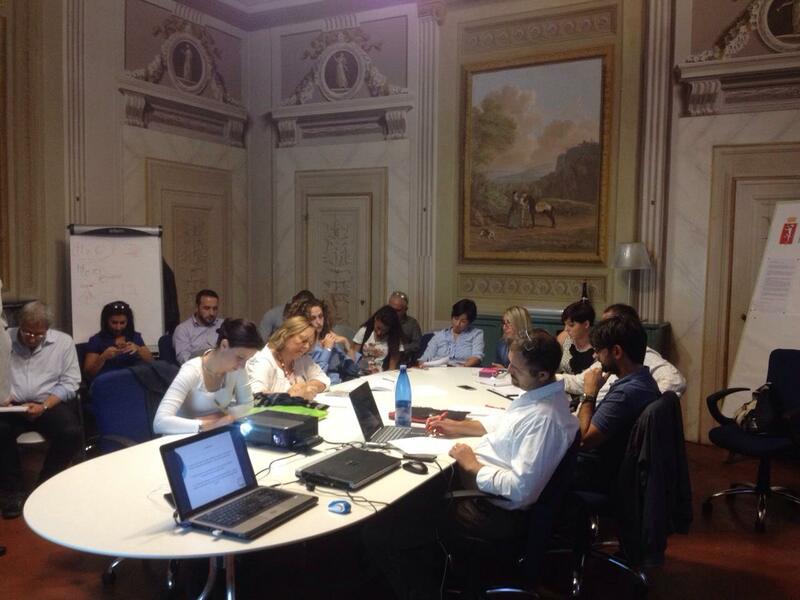 From 2015 onwards, the Municipality of Campi Bisenzio created a participatory budget. The administration, in fact, allocated for the three years 2015-2017, €600,000 (200,000 per year) on which the citizens could decide the allocation towards three reference areas: interventions in schools (extraordinary maintenance); Roadways (public lighting, sidewalks, small road repairs); and town greens (town décor, playground equipment, repairs and extraordinary maintenance, pedestrian walkways). The Municipality was divided into three reference zones to be reached and also included the outskirt districts. The citizens (a part of which was involved through sampling, and others were invited through purposely created communications on the participatory budget) have been involved in two information meetings for the project presentation, where the budget councilor and two technicians of the public works office were always present. This was a way of making the informative meeting an occasion for the citizens to have a first-hand view of how a municipal budget works, and what the real costs for ordinary maintenance works are. In the two succeeding meetings, in the work and design round tables, the citizens involved could discuss and lay out their ideas in project proposals to be subjected to the opinion of the technicians for the technical and economic feasibility assessment. A final meeting was held for the presentation of the projects deemed feasible by the competent technicians, and lastly, the voting sessions. The experience in the first two years confirmed how much the active involvement of the citizens in the care for public issues, contributes in a fundamental way to building a cohesive and protagonist community. The path of the third year which is about to start, not only includes the process of involving the entire Municipal population on the aforesaid themes, but would be an occasion to stimulate the citizens (involving also those who took part in the other participatory events promoted by the municipal administration) together with technicians, councillors and associations, in designing a web platform that can gather and systematise all the participative initiatives that were produced by this municipal administration and become an innovative tool for participatory mapping for the citizens' use, and to be left as a legacy to the next administrations. This last stage of the participatory process now is to take stock of important work which lies at the base of this administration's style of governance. 1) Sampling of citizens belonging to the area involved by the participatory budget, directly contacted by the Municipal administration and invited to participate in the project – involvement of other citizens through communication and advertising channels specifically created for this aim. 3) Two meetings involving another group of citizens (that also gather participants for all the participatory events promoted by the administration with the school youths) for the design of the web platform and the implementation of the participatory mapping. 4) Plenary session for the presentation of the projects deemed admissible and sustainable by the competent technicians. 5) Presentation of the progress of the creation of the platform especially of the part related to narrative storytelling of the entire Campi experience. 6) Voting on the projects and subsequent announcement of the winning projects related only to the participatory budget. 7) Presentation of the web platform and participatory event using the participatory mapping platform created. The project has surely had an important impact on public policies. Firstly, it is the administration itself which made participation the privileged tool of governance, with force and conviction, since the start of its mandate. This above all was important in producing actions in support of participation processes (approval resolutions deliberated and followed by the gathering of results). Moreover there was an important involvement of all the council offices throughout the process. Lastly, a part of the municipal budget was allocated to participatory processes. In fact, there is a chapter dedicated to participation, and specifically, the allocation of a conspicuous fund (€600,000 in the three years 2015-2017) for the specific "participatory budget" project. - Real participation in a sector of public life. - Natural creation of a network of public and private figures for the circulation of good practices. This project describes a city-level activation of residents through various activities, including participatory budgeting. There is both off- and online activities. What remains unclear is the level of participation and its impact, and how is ensured that the participant pool consists of diverse population.